Jobling Gowler Solicitors are unique in being a local firm with a national reputation. We are proud to have our expertise recognised by four separate national awarding organisations. To read more about the rankings and methodology involved visit the Chambers & Partners Directory site. Simon Gowler and Gill Peate have also been individually recommended in the guide. Simon has recently achieved the largest known settlement for a cauda equina clinical negligence case. He is also a specialist in orthopaedic negligence and amputations. The guide praises Gill for her fresh and innovative approach to client matters, a skill which has allowed her to achieve success on cases where other high-ranking firms have failed. She has a specialist interest in acquired brain injury. Jobling Gowler Solicitors is a ‘niche firm that is a match for the bigger firms’. 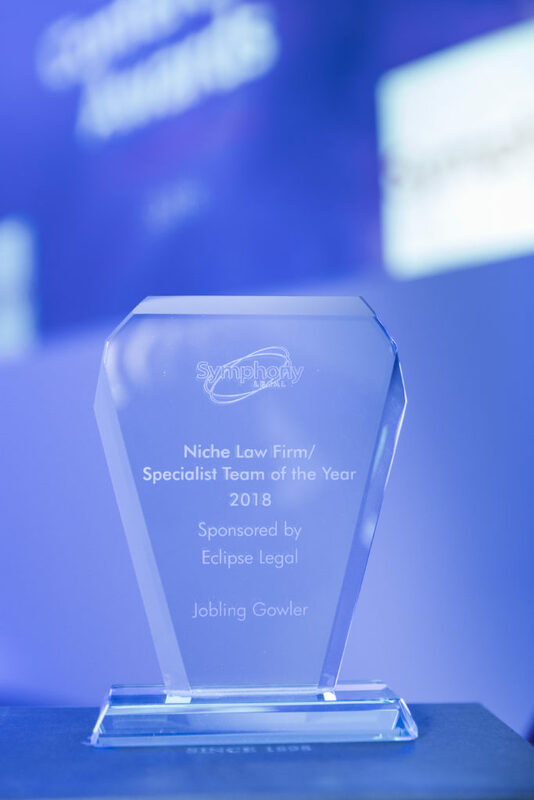 In November, Jobling Gowler received the Symphony Legal Niche Law Firm/Specialist Team of the Year award. 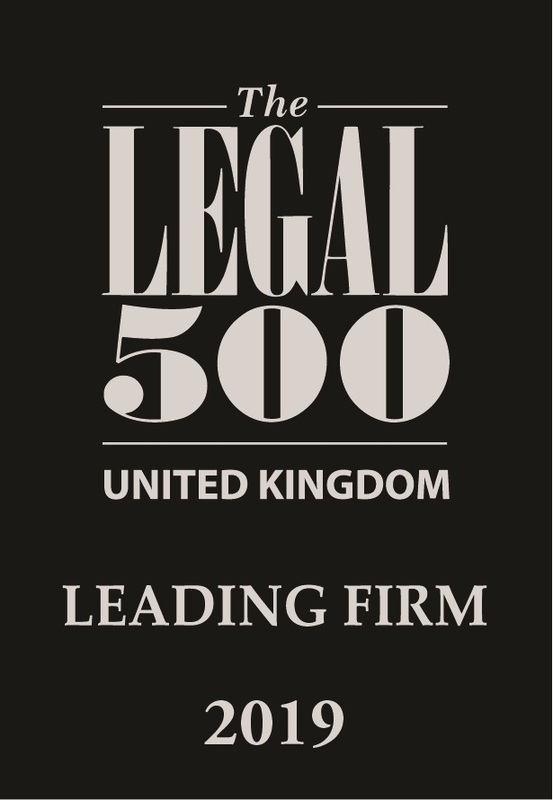 Symphony Legal is a national legal group whose expert consultants award the titles. “This award is designed to showcase those firms that have decided to concentrate on doing what they are best at, …where teams can show that they are doing something genuinely different.” It recognises strategic vision, clear focus and success in a specified area of work. We also once again received a Lexcel Legal Practice Quality Mark from The Law Society. This quality mark recognises high standards in practice management and client care. More information on the Lexcel Legal Practice Quality Mark can be found on their website.